Vector is a spot system that comes in two sizes with different beam angles (spot, flood, wide flood) obtained by means of refractive or hybrid optical units. 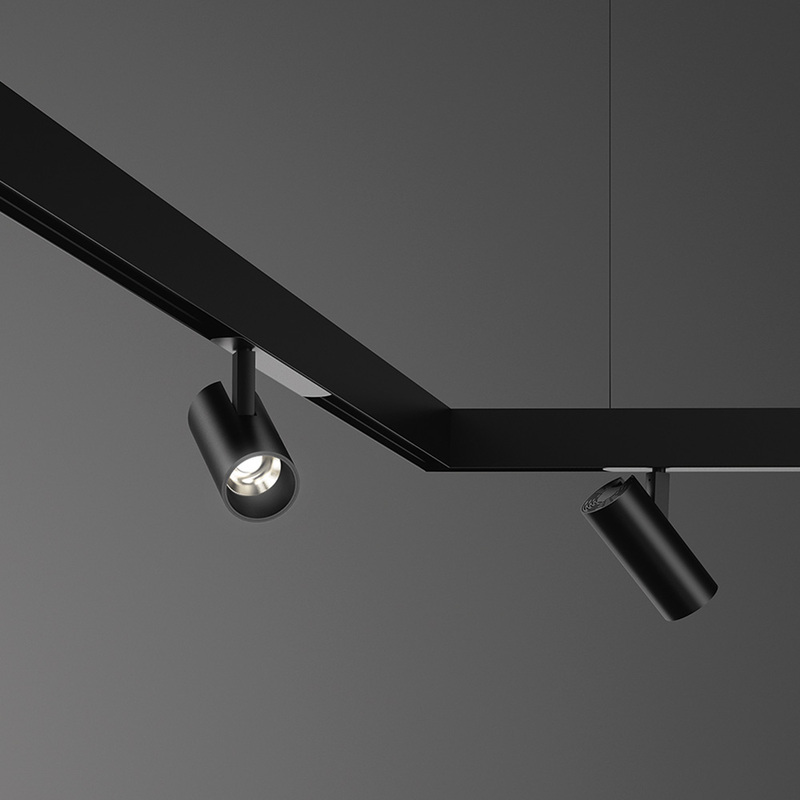 The larger 26W spot is available in spot (16°), flood (22°) and wide flood (32°) while the smaller 10W spot is available in narrow spot. 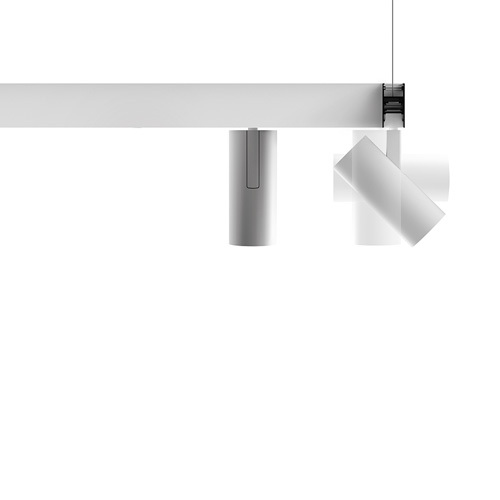 Its elementary geometry is designed to enable smart and versatile applications. It can be fitted into the innovative magnetic track of A.24 or it can be installed as recessed. When installed in these tracks, each spotlight can be controlled separately by means of a Dali protocol. 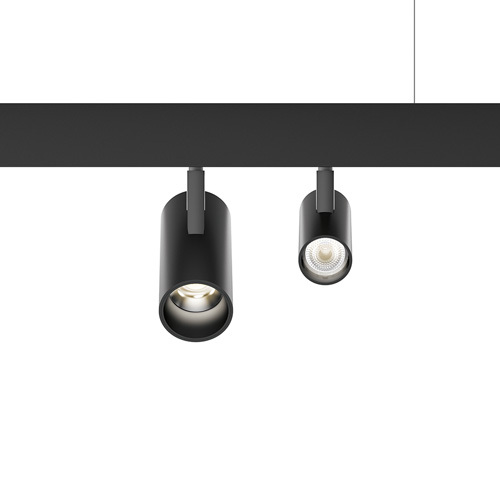 The junction arm is integrated into the spotlight’s body to keep the center aligned with the track and prevent imbalance. 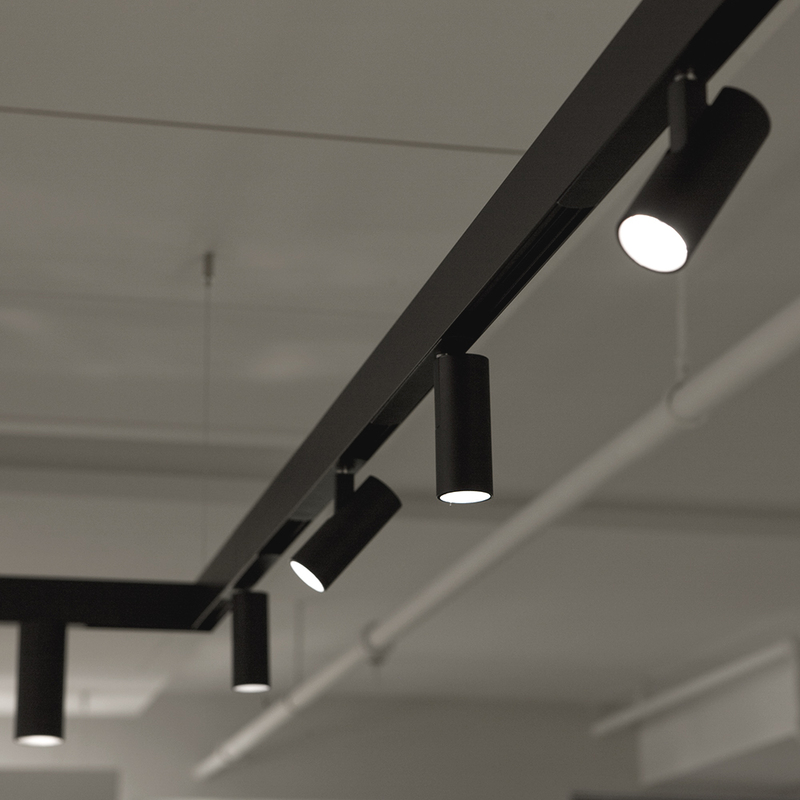 This enables the suspension of large track lighting appliances by simply using suspension cables without stems, thus preventing the track’s rotation around itself even when all the appliances are tilted in the same direction. 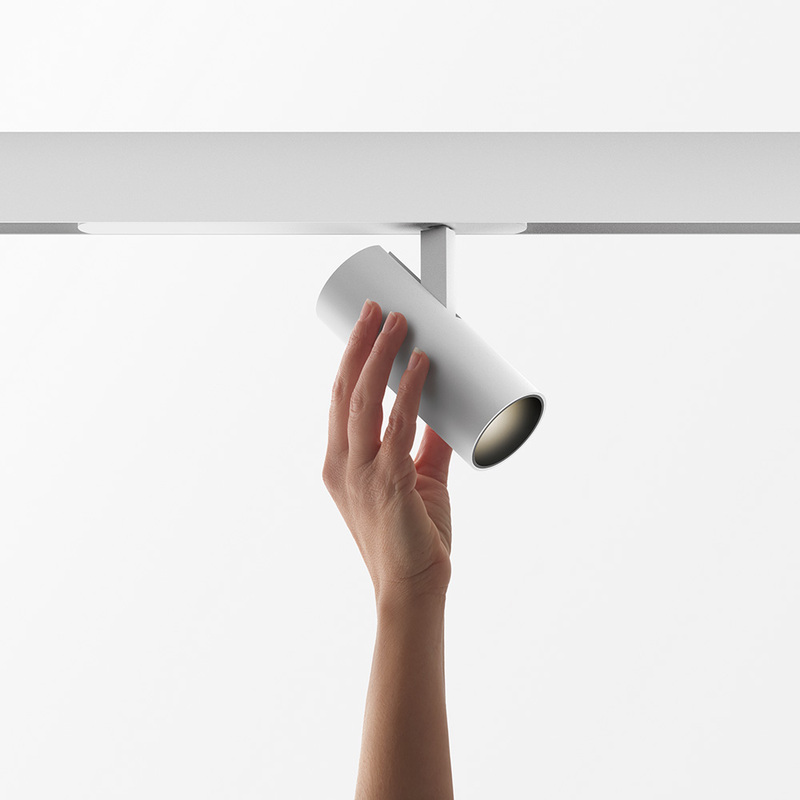 In the recessed version, the spotlight can be closed and completely concealed or protrude from the ceiling by means of a push & pull system to adjust the emission in space.